How Conservation Might Affect You? Amy: As an Undergraduate my plant biology lecturer asked us all to choose a plant family, research it and write an overview of its ecology and conservation. We had just been learning about how Darwin was fascinated with orchids and their interesting pollination systems, so I chose them, really enjoyed the project, and have been interested in orchids ever since. 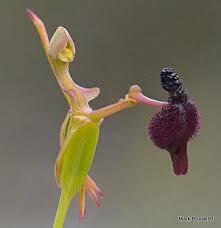 Amy: I have always really wanted to see an Australian hammer orchid (Drakaea spp.) in the wild because they have a really intricate hinged lip that deceives male wasps into pollinating them. I also think Paphiopedilums are really interesting, not least because they have been in such great demand from growers for so long. Ryan: Do you grow orchids? How many orchids do you have currently? Where do you grow them? Amy: People always ask me this question but I actually do not grow orchids. I do have a few Phalaenopsis and a Dendrobium that were gifts from nursery owners who I have interviewed. As a student I have to move house a lot and tend to go away on fieldwork for months on end, so I can’t give them the attention they deserve. Amy: People always ask me for help with their orchids (even though I don’t grow any!) and I always start by trying to tell them more about how the plants grow in the wild. I think that by understanding more about the natural habitat, where exactly it grows, how warm or humid it is etc. it will make caring for your plants at home a bit easier. Ryan: Tell us about your website Conserving Orchids. 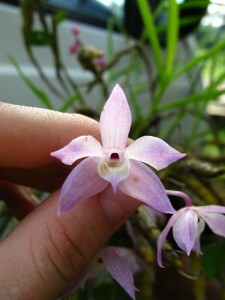 What made you decide to start your website about orchids? 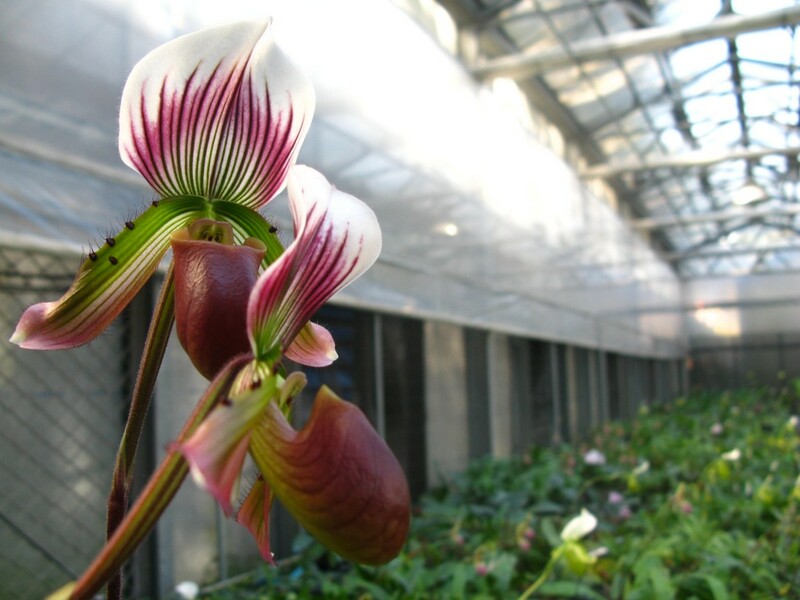 Amy: Susanne and I decided to start the blog at the beginning of 2013 as a way to share some of the orchid research that we were finding out about during our PhDs with people outside of academia. We try to post regularly about interesting research, current orchid news, conferences or shows that we have been to and a bit more about our own work. I wrote about the unveiling of the first genetically modified blue Phalaenopsis at the Asia Pacific Orchid Conference in Okinawa, which seems to have been a popular post. Ryan: Anything else you’d like to share? Amy: As I mentioned above I am currently trying to find out more about demand in the orchid industry and what it is that makes certain orchids attractive to buyers. If you have a few minutes and want to be an important part of some academic research please click here to fill in a short survey.